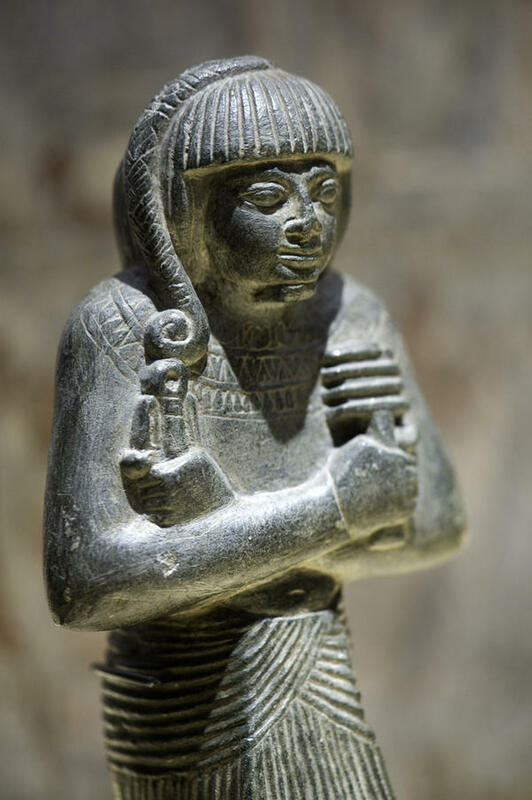 A shabti is a small figure that was placed in the tomb of an Ancient Egyptian. They are sometimes called ushabtis or shaptis. The Ancient Egyptians believed that the afterlife would be much like this one, so they created shabtis to serve the dead in their next life doing tasks such as irrigating the river and farming fields. Although the design, materials and size of figures changed over time, all shabtis have several features in common. A typical Shabti figure, crafted to serve the dead in the afterlife. Shabtis are based on human figures that have been mummified and just like mummies, shabtis are usually sculpted with their legs bound together and their arms folded. It is a common feature for older shabtis to feature an inscription in hieroglyphics on the lower part of the body. This was later replaced with the name and title of their owner. The inscription was a spell binding the shabti to the deceased and calling them to serve in the afterlife. O, shabti, if you are called upon. To do all the work that needs to be done in the afterlife. “Here I am!,” you will say when you are called to serve. To farm the fields, to irrigate the river and to ferry sand. “Here I am,” you will say. This shabti’s lower body has been decorated with the ‘shabti spell’, binding it to serve the deceased in the afterlife. What were shabtis made from? Shabtis were made out of lots of different materials. 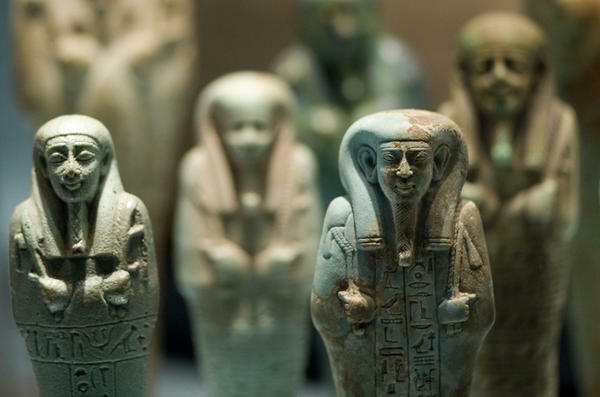 It was not uncommon for the Shabtis of the wealthy to be carved out of precious stones such as alabaster or turquoise. Poorer egyptians might have simpler shabtis made from clay, wood or even mud. Many wealthy egyptians would have a shabti to serve in the afterlife for each day of the year. As well as the worker shabtis, they would also have an ‘overseer’ for every 10 workers. King Taharqa had over a thousand. Shabtis are the most common ancient egyptian artifact remaining today. Next week we are going to design our own shabtis and decorate them with our names in hieroglyphics. Why not have a go yourself using one of these outline templates. This February we will turn our attention to an exploration of Ancient Egypt. We will use different sources of historical evidence including ancient egyptian artifacts to build up an image of the Ancient Egyptians and their way of life. What aspects of the topic are you interested in learning about? What do you know already? How would you like to find out about it? Leave your comments below. We have been doing quite a lot of things recently, but my favourite thing was creating a powerful poem about an insect of our choice. It was quite tricky because we had to make it as effective as we could. Some people even attempted a rhyming pattern. When we finished, we had to find and copy images of our insect off the internet, and then paste them into Photostory. After that, we recorded ourselves reading our poems, then added that onto our Photostory document. Finally, we arranged the pictures so that they fitted along with the soundtrack. This involved a lot of work, but the end result was really impressive! To make our climate graphs we took the average rainfall and temperature from the Amazon rainforest and wrote them all down in Microsoft office excel and made them into a bar chart using chart wizard, then we changed the temperature into a line graph we then took the temperature and rainfall from Walkington and put them into excel then we repeated the same process as the Amazon, finally we mixed the two graphs together. In art this week we had fun making stencils in the shape of rainforest leaves. We then used the stencils to create some sponge prints and negative pastel prints. This week in Literacy we have been learning about explanation texts. We created our own by researching rainforest plants and creating explanation posters in our literacy groups. Have a look at some of our finished posters by clicking on the links below! Jonathan, Tom, Dan & Daniel – Amazing Plants! The hot and humid conditions make rainforests a perfect habitat for many of the worlds plants, animals and insects. Rainforests are very dense, hot and humid forests and are home to millions of the earth’s plants and animals. 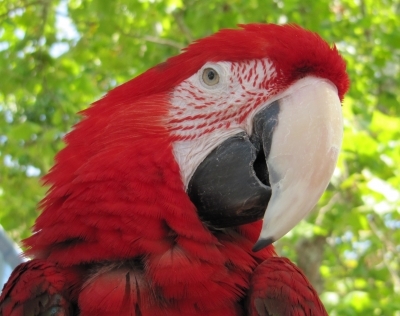 More species are found in rainforests than any other habitat in the world. The word rainforest was first used at the end of the 19th Century to describe forests that grow in constantly wet conditions. 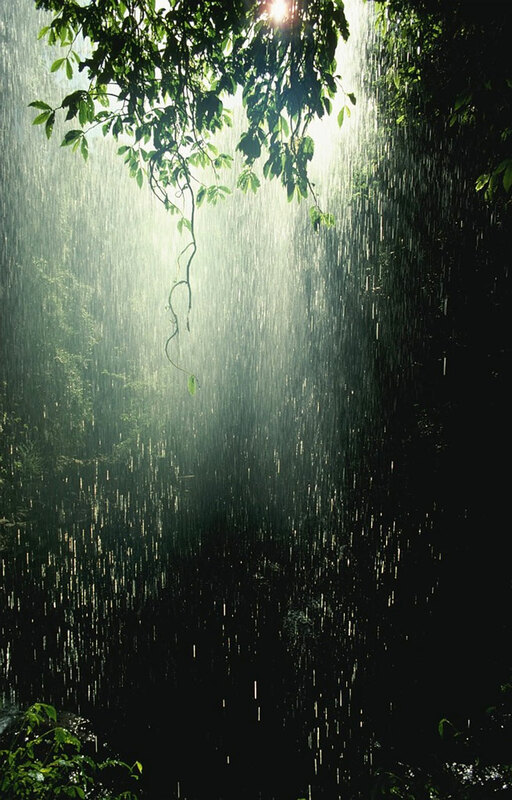 Today, scientists define rain forests as forests that receive more than 2,000 mm of rain evenly spread throughout the year. 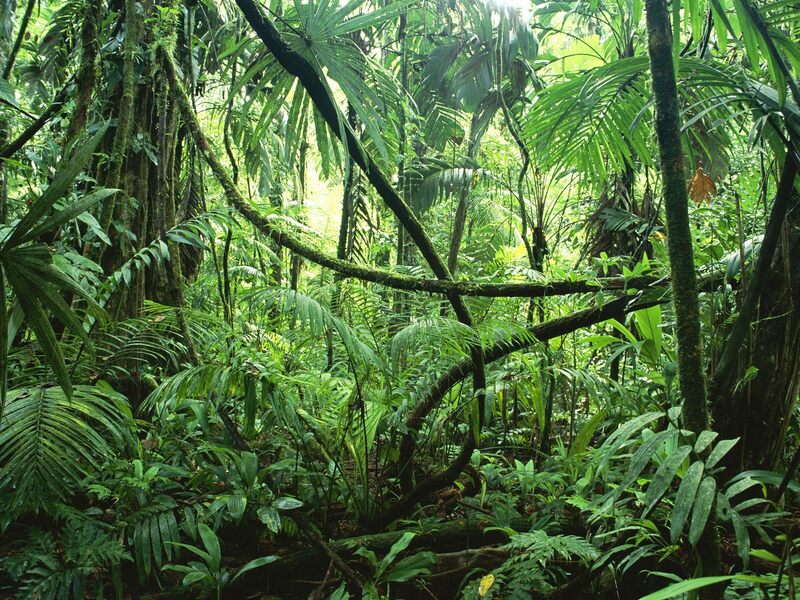 A rainforest is often referred to as a jungle, which is a Hindi word from India meaning a wilderness. A true jungle is a thick tangle of vegetation, through which people have to force and cut their way. Rainforests are diverse, some parts contain patches of jungle and other parts are more open. There are actually two types of rainforest. Tropical and Temperate. When most people refer to rainforests they are talking about tropical rainforests. Tropical rainforests are only found in the tropics - an area found around the equator betweeen the Tropic of Capricorn and the Tropic of Cancer. 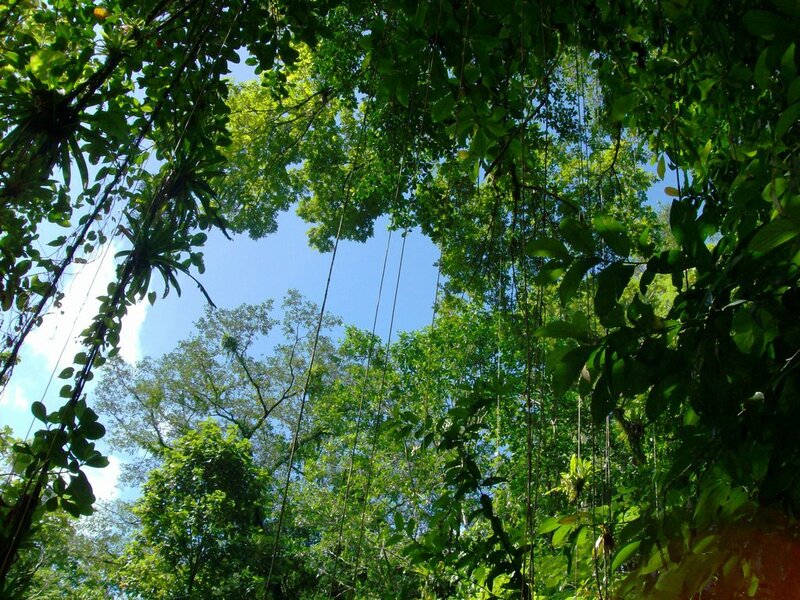 Tropical rainforests are found around the Equator. There is very little variation between the seasons. Can you think of a reason why? 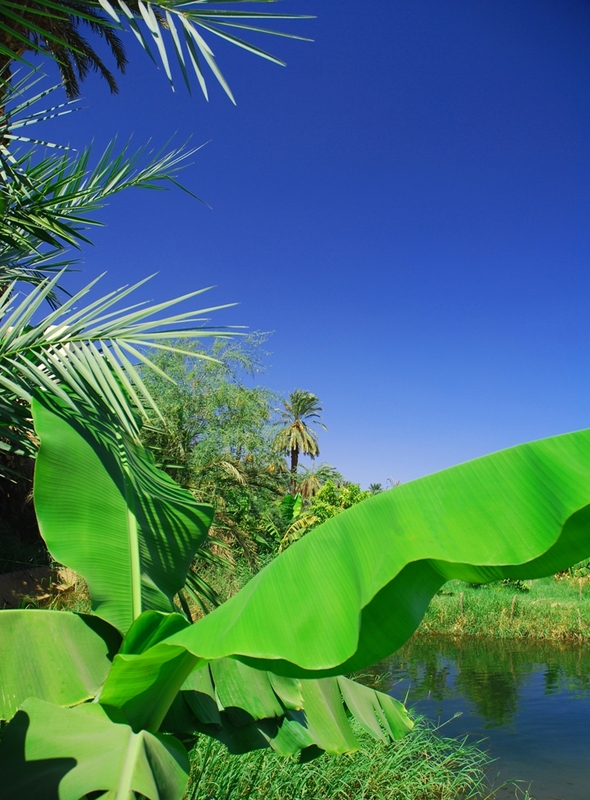 They have an even distribution of rainfall annually and are warm and hot all year round. 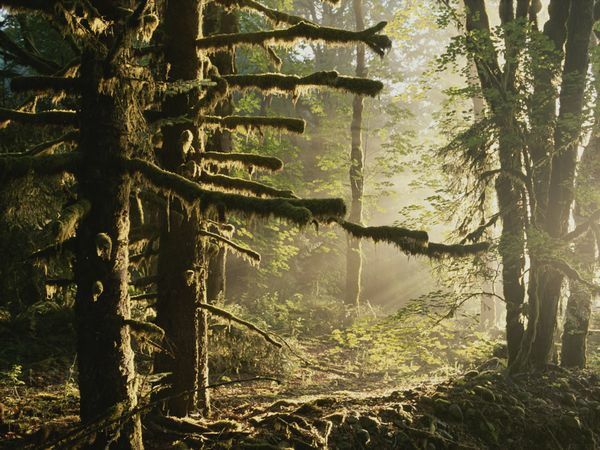 Temperate rainforests are found further away from the tropics. They often have a wet season and a dry season. 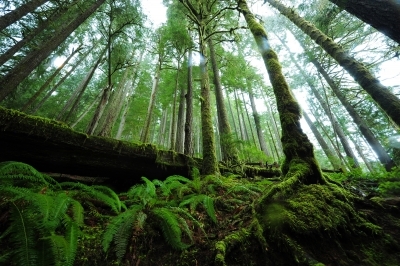 Temperate rainforests are found further away from the equator. They have two seasons: a wet season and a dry season. The temperature varies much more than a tropical rainforest. • The Amazon Rainforest is the largest rainforest in the world, It covers an area of about 3 million square miles – that’s about 60 times bigger than the whole of England! • Although they cover less than 2 percent of the Earth’s total surface area, the world’s rainforests are estimated to be home to half of the Earth’s plants and animals. • Rainforests are the “lungs of our planet”. It is estimated that more than 20 percent of Earth’s oxygen is produced in the Amazon Rainforest. • Because there is so much sunlight, heat and water – trees have the resources to grow to tremendous heights, and they live for hundreds, even thousands, of years. In 2010 we embarked on our new skill-based curriculum and next year we’re going global! Join our class on our learning journey into the rainforests of the world. We hope to use this blog as a tool for learning, sharing and celebrating. Look out for our first learning posts in January 2012. In the meantime please visit the links below to see the type of things we will be exploring. What will we be learning this term? Class BB, have your say! In January we will begin our new topic, but what exactly will we be learning and how will be learning it? Help us decide! Have a look in our reference books or browse the web for ideas that other schools have done. Which aspects of rainforests do you want to find out about most? Got a great idea of how you would like to learn? Leave your ideas and suggestions below and help plan our rainforest adventure!